PaySafeCard is an interesting banking option for online casino players who want to make deposits and withdrawals to their online casino accounts. paysafecard is basically a prepaid debit card but it offers some advantages over other options in the same category. Paysafecard is accepted at lots of major online casinos and depending on what you need out of an online financial solution, it might be the best option for your online gambling transactions. One downside you should be aware of is even though lots of casinos accept paysafecard for deposits, not all of them let you withdraw money using paysafecard. Make sure to research your specific online casino to make sure it offers the compatibility you require. Two big perks are that paysafecard is completely anonymous and you don’t need a bank account or credit card to use it. Getting started using the service is really simple. When you buy a paysafecard by preloading funds, you will receive a 16-digit PIN that can be used for online casino deposits or to make purchases at tons of other online merchants. paysafecard PINs can be purchased online or at over 600,000 real-life locations all over the world including post offices, convenience stores and gas stations. You don’t have to sign up to buy and use paysafecard PINs but you do have the option of registering an account called “my paysafecard” which allows you to track and review all your PINs and transaction by logging into your account online. Keep reading to learn more about how to use paysafecard for online casino deposits and withdrawals, the major advantages offered by paysafecard, the average wait times and extra fees you can expect when using paysafecard and background information on paysafecard’s company history so you know who you’re doing business with. As we mentioned above, paysafecard boasts some great advantages for players interested in making online casino transactions. Anonymity, convenience, speed and affordability are all on paysafecard’s list of strengths. For a lot of people, traditional banking methods don’t suit their online spending needs. That’s where a modern online financial solution like paysafecard comes in. Paysafecard has hundreds of millions of customers in 45 countries around the world so they must be doing something right. These are the biggest reasons people all over the world choose to move money to and from their online casino account quickly and safely. Enhanced Security – Some people don’t feel comfortable making deposits and withdrawals at online casinos directly from their bank account or credit card because they don’t fully trust the casino’s security. That’s why a lot of people choose a service like paysafecard that specializes in secure online transactions. The online casino never comes in contact with your personal banking information. All it sees is a 16-digit paysafecard PIN while your financial details stay protected. Anonymous Transactions – The same reason that gives paysafecard enhanced security compared to making transactions directly from your bank also gives the service a level of anonymity that appeals to lots of online gamblers. Not everyone wants online casino and gambling charges showing up on their bank and credit card statements. When you buy a paysafecard PIN and use it to fund your online casino account there’s no paper trail linking you with the deposit and it won’t show up on paper or online bank statements. No Bank Details Necessary – Some people don’t have access to credit cards or chequing accounts which makes paysafecard an attractive option. You can purchase a paysafecard PIN in cash at a real-life location and then use it to make online deposits which means you never have to get banks or credit card companies involved. Fast Transactions and Low Fees – Because paysafecard is a prepaid service, deposits show up in your online casino account immediately. Withdrawals aren’t quite as fast and depend on the specific online casino you’re playing at but the wait times are competitive with other similar services at roughly 1-2 days. Another benefit paysafecard shares with other prepaid options are low fees. We’ll go into more detail on specific fees but rest assured, paysafecard is one of the cheapest online financial solutions. There are lots of different options for moving money on and off your online casino account so it’s important to figure out your priorities and choose the one that’s best-suited for your needs. Make sure to browse TopCasinoBonus.com’s comprehensive guides and articles for more information on your options. Fast deposits and low fees are two big areas paysafecard shines. Since you’re putting up the money to pre-load the the PIN it means you can expect instant deposits when you want to get money into your online casino account. Paysafecard is a really common option for depositing but it’s important to note that just because the casino accepts deposits using paysafecard doesn’t mean they’ll let you use it for withdrawals. Check out the info on your casino’s website or go to its cashier to make sure it’s accepted for both. If the casino does offer paysafecard as an option for withdrawals it usually takes two business days or less to process the transaction. Another big benefit to using a prepaid service like paysafecard is there are no interest rates or credit checks required and overall the fees are low. The main fees you’ll pay include a small sales fee charged by some merchants who sell paysafecard PINs and if there’s a currency conversion needed when you’re making a deposit. It doesn’t cost you any money to make deposits or withdrawals but if you want to move unused money from a paysafecard PIN back to your bank account you’ll pay a small fee that depends on the country you live in. In the UK it’s £6. There’s also a small monthly fee associated with leaving money on your paysafecard PIN for more than a year. One area paysafecard falls short, especially for people who play higher-stakes casino games, are the transaction limits. paysafecard PINs are available in denominations ranging from £10 to £175 so if you want to deposit higher amounts it can get tedious. Paysafecard started in the year 2000 in Austria with the concept “cash for the internet” and sold physical prepaid cards. It was branded paysafecard from the very beginning and expanded to service customers in Germany as well in 2001. The following year the company began offering e-vouchers in addition to actual cards and in 2004 started selling the vouchers online as well as in real-life stores. In 2005, paysafecard received official funding from the European Union in order to help its international expansion and to help make online payments more available to people who may not have credit cards. The simple fact that the EU granted them official funding goes to show that the security and legitimacy of Paysafecard is simply top-notch! Over the next couple years the company expanded to more European countries focusing on Greece, Slovenia, Spain, Great Britain and Slovakia. In 2007, paysafecard completed its 10 millionth transaction and in 2008 the company received an e-money license from the British Financial Conduct Authority which allowed paysafecard to conduct business all over Europe. The company began offering its services in France, Poland, Portugal, Switzerland, Czech Republic, the Netherlands and Belgium. In 2009, it launched in an additional nine European countries and Argentina, its first non-European region. 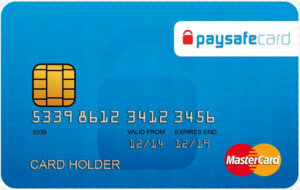 During the same year paysafecard received a Mastercard license to begin offering that company’s products. In 2010 paysafecard launched in the United States and Mexico, bringing its offering to a total of 26 countries.In 2011 paysafecard launched its first mobile app for smartphones and in 2013 introduced my paysafecard which allowed customers to track their PINs and transaction histories. By 2017 paysafecard was available at over 600,000 points of sale in 45 countries around the world.